Premier Sleep Center, Rockville Internal Medicine’s four bed unit of private rooms providing overnight sleep studies (polysomnography and C-PAP titration), as well as daytime studies (MSLT, PAP-NAP, Home Sleep Studies), opened in January 2004 to provide customized medical care with a professional and personal touch. The Center is dedicated to improving the quality of life for people with sleep/wake disorders. 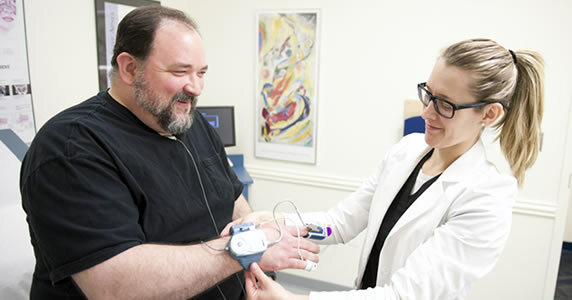 The center is staffed by experienced certified and registered polysomnography technicians. Visit Premier Sleep Center’s website today!